San Diego Zoo Global is a conservation organization dedicated to the science of saving endangered species worldwide, with over 100 conservation field projects in 35 countries. San Diego Zoo Global operates three world-class facilities: the San Diego Zoo, the San Diego Zoo Safari Park, and the San Diego Zoo Institute for Conservation Research. 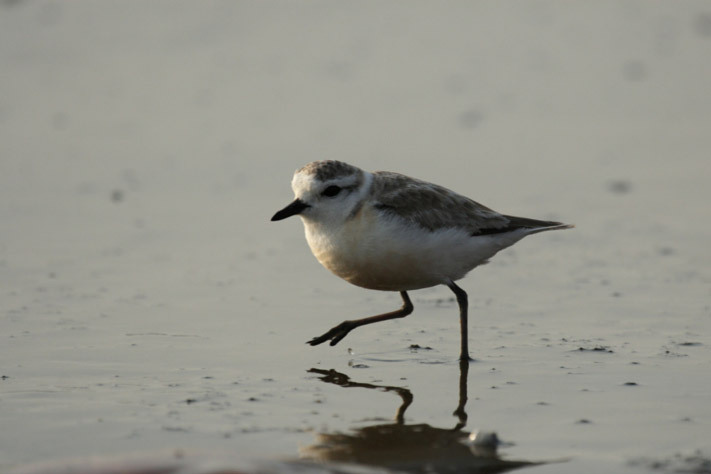 A team of scientists at the San Diego Zoo Institute for Conservation Research is dedicated to a vital conservation project that helps protect two of California's endangered and threatened bird species: the California least tern and western snowy plover. The work involves field research days on beaches along the California coast to monitor the birds, their nests and young. During the 6-month nesting season, the team will report on upwards of 2000 nests and the chicks that hatch from them, which requires a large amount of information to be accessed and collected in the field. Before, field researchers would carry around a 25-page long paper list that contained past field observations about the species. Each time new data was captured in the field, researchers would have to search through the paper list to find information, which was time consuming. New observations were also written down on paper forms, and the data had to be manually entered into spreadsheets at the end of each day. "Working with so many different paper lists and forms in the field was inconvenient and inefficient, especially when having to enter all of the data after the field work was complete," said Jeanette Boylan, Conservation Program Manager, San Diego Zoo Institute for Conservation Research. "Errors would also get introduced either through handwriting or copying the data into spreadsheets. We wanted to be able to capture and access data in the field faster and more accurately." "We wanted to be able to capture and access data in the field faster and more accurately." Previously, there were several ways that errors would be introduced into field data, which impacted the team's productivity and results. The team had no efficient way to verify previous data before taking new measurements, so errors would only be discovered at the end of the season. One of the tasks researchers carry out is to band chicks shortly after hatching, and then recapture, measure and weigh them to determine survival and growth. The chicks can be difficult to follow once they leave the nest, and some have temporary bands that are replaced with permanent bands after they grow large enough. There were issues in matching up data from temporary and permanent bands placed on the same bird, since the history of each bird was not readily available in the field. If the data didn't make sense, it was hard to find the source of the error. "At the end of last season, we were going through our database on the tern chicks and we found quite a few errors in the data," said Boylan. "At that point, we didn’t know if someone misread the band or if the weight and measurements of the chicks were wrong. We couldn't use that data, which made a significant impact on our analyses." A key requirement of the solution was the ability to pull up past data on a mobile device in areas without network coverage. This need for two-way data access while offline eliminated many basic mobile forms solutions, which only support one-way data submission. Flowfinity was selected because it allowed fully customized apps with detailed workflows to be quickly built, while meeting the conservation team's very specific requirements. Flowfinity apps are built with a point-and-click app editor, which is efficient when app changes and updates are needed. "Flowfinity enables us make minor app changes easily, which is important as our project needs and workflows can change frequently." "Flowfinity enables us make minor app changes easily, which is important as our project needs and workflows can change frequently,” said Boylan. "Any updates we make are published with the click of a button and then available on everyone's mobile device." "Flowfinity mobile apps have helped us improve the accuracy and efficiency of conducting conservation field studies, also resulting in 10 hours saved each week in data entry and administrative tasks," said Boylan. "Flowfinity allows us to quickly search through thousands of records on mobile devices while offline." The team uses custom Flowfinity apps to record data on site visits such as dates, times, predators, weather, disturbance events to nesting birds, banding information, bird growth and development, and other factors that could affect the birds' reproductive success. The Flowfinity solution allows researchers to access critical observations that they've recorded throughout the season, in an easy-to-use iPad app. It's important for researchers to be able to access the database quickly in the field, so that they can review past observations or find reference numbers. For example, a researcher will look up past measurements for chicks such as the previous wingspan or weight. All of this data has to be accessible offline, since the beaches where the birds nest don't often have network coverage. "Before we started using Flowfinity, we didn't have access to information about the birds, real-time in the field," said Boylan. "We needed something that could be used offline and make the information about our past field information available, without having to spend 10 minutes each time looking for the information." "It has been beneficial to have the data submitted right after the researchers are out of the field, so that it can be reviewed right away and shared with our partners." Now that conservation researchers have access to past data, they can verify that their current measurements are within expected ranges before entering new information into mobile forms. Data entry is also more accurate, since handwriting, lost paperwork and transcription errors have been eliminated. "Now we can see the entire history of the chicks and nests," said Boylan. "It makes a big difference when we can go back and see where these chicks have been sited, or what their measurements were previously. It helps us to figure out what’s happening while we're out in the field." With more accurate data collected and less paperwork, it's more efficient to perform data analysis at the end of the season. A significant amount of time is saved by not having to track down information or verify which data belongs to which bird or nest. "Last year I spent at least 40 hours going through all of the information to figure out which chick was which," said Boylan. "It required a lot of data manipulation at the end of the season. The real benefit of using Flowfinity is being able to achieve better data quality. It's so much easier to analyze our data when the quality is improved." Standardized reports are generated from the data and sent to partners such as the U.S. Fish and Wildlife Service and California Department of Fish and Wildlife. "It has been beneficial to have the data submitted right after the researchers are out of the field, so that it can be reviewed right away and shared with our partners," said Boylan. Since first using Flowfinity, SDZ Global has expanded its use with the addition of more apps, forms and workflows. They now see the potential for other research groups to leverage the solution. "We've presented our use of Flowfinity to other research groups, and they've all been interested in it," said Boylan. "I see the potential of this solution to be used in a number of different research projects, without much modification. We've been very happy with Flowfinity so far, and plan to continue exploring other ways to expand our use of the software." Flowfinity has helped us improve the accuracy and efficiency of conducting conservation field studies because it allows researchers to quickly search through thousands of records on mobile devices and validate data entries while offline. We also save 10 hours each week in data entry and administrative tasks, and 40 hours at the end of the season in cleaning up data for analysis.